Annie Baker is an award-winning 34-year old American playwright with a growing reputation. Her gentle three-hander The Aliens, which premiered off-Broadway in 2010, shows why. 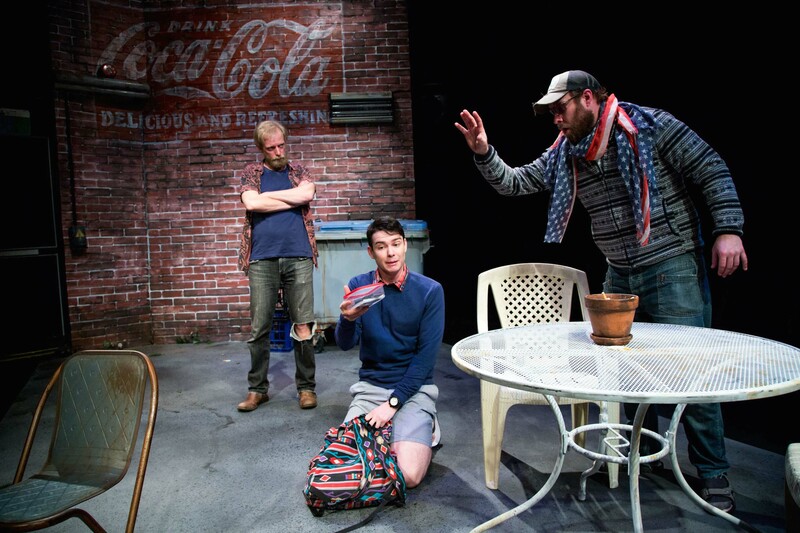 It’s set in small-town Vermont, where a couple of fringe-dwelling slackers in their 30s – Jasper (Jeremy Waters) and KJ (Ben Wood) – pass the days in the grungy backyard of a café. Passionate about the poetry of Charles Bukowski and smarting from having been dropped by his girlfriend, Jasper smokes broodily and is writing a novel. KJ, meanwhile, nurses a deep well of sadness beneath the bravado and isn’t doing much beyond whiling away the hours with his best mate. The backyard is off-limits to customers but when Evan (James Bell), a shy high school student who works at the café, tentatively asks them to leave, it’s clear they’re going nowhere. Instead they decide to take him under their wing and a touching relationship between the three begins to form. The Aliens is a deceptively simple play, which creeps up on you. Not a great deal actually happens, but there is plenty bubbling away beneath the surface as Baker deals with love, death, art and the ties that bind. She never spells things out but subtly reveals more and more about the characters through their sporadic conversations. The silences, the things left unsaid and things mentioned in passing but not elucidated upon all gradually build to offer an incredibly moving insight into three social misfits. 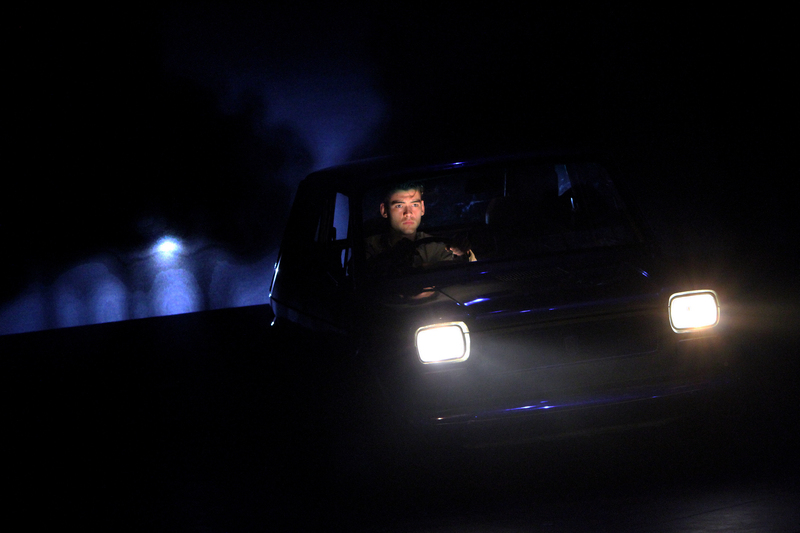 Directing for Outhouse Theatre, Craig Baldwin helms a wonderfully sensitive production. Hugh O’Connor’s set perfectly captures the feel of the grungy backyard right down to the weeds poking through the concrete, while the actors inhabit the characters so truthfully it hardly feels like acting at all.